Think, for a moment, about something in your life that gives you a rush. Something that exhilarates you. Now imagine being able to amplify that rush and exhilaration for a once in a lifetime opportunity. A simple pleasure of mine that delivers that rush consistently is standing at the peak after a long hike. A break from the ordinary, amazing views in every direction, perspective of how small we are in this world, a sense of accomplishment and achievement. Summer or Winter you’ll find me wanting, weekend warrioring, to tackle some local peak to connect me with all of those feelings. October 2010, I came across Racing The Planet / 4 Deserts and I knew I found something special. Ascending to 10,500 feet with Everest’s peak reaching another 18,500 feet above you. Covering 250km in 7 days. Imagine crossing suspension bridges as long as 820 feet and 490 feet above the valley below. It’s a race. 230 competitors from over 30 countries. 6 stages over those 7 days making one of those stages long enough to be an overnight stage. Let’s up the ante again. You are 99% self-supported carrying a minimum of 2,000 calories per day remaining, electrolytes, energy gels and any other form of sustenance. Carrying your sleeping bag, sleeping pad, clothes, head lamp, solar panels (to charge camera batteries), blister kit, another blister kit, and water / hydration reservoirs. Drinking water and cooking water are provided in the morning and evening. Tents and tea houses are where you sleep. No assistance can be accepted from or given to a fellow competitor (without penalty). Imagine the thought of all of this being so incredibly exciting that when you found out you got into Racing The Planet you started calling people at 5:30am on Christmas Eve. I am also very excited to be participating on behalf of MenCap, the United Kingdom’s leading voice for learning disability whose specialist services enable people with a learning disability to develop the skills they need to lead fulfilling lives. Racing The Planet: Nepal 2011 will take place in November 2011 and there will be numerous updates on training, fundraising efforts, gear, and all sorts of misadventures along the way. A photo gallery of course highlights can be viewed here. The Vancouver Sun Run has become the world’s single largest 10km race and has raised over $1.1 million for various charities since 1985. In 1997, $1 from each Sun Run registration has been donated to Raise-a-Reader - a national literacy campaign in Canada. The current Sun Run route starts in downtown Vancouver on Georgia Street, briefly cuts into Stanley Park and then passes along the seawall past English Bay. Crossing over the Burrard Street Bridge the route passes by Granville Island through Fairview and back over the Cambie Street Bridge finishing on Pacific Boulevard next to BC Place. The Sun Run has grown to include over 60,000 participants from a wide variety of fitness levels. I have consistently avoided participating in this race because it’s size; wanting to avoid injury for another race for which I was training. While the race is seeded by finish time few participants know their finish time so unless you’re one of the elite runners in the very first group or at the front of the second wave the course is crowded and you are basically dodging people the entire way along. I tried to go wide and run along the outside of the route and find a cadence that would get on “race pace”. I found my pace a couple of times but what I actually found was that I was playing the world’s single largest game of Frogger. This actually made the race a bit more fun than it otherwise may have been. That being said, the risk of injury is extremely high so if you’re shooting for a sub 40′ race make sure you’re in the Elite wave. If you’re not running a sub 40′ just go out and have some fun as there are too many people to try for a personal best over 40′. I’ve always wanted to run a local area race with lots of friends on course both as runners and in support of the thousands of people participating in the race. Leading up to the BMO Vancouver Marathon & Half Marathon I started to seriously consider registering, however, I was very hesitant as I am currently training for the Escape from Alcatraz triathlon. It’s tough when you are training for a specific race and other events come up that you want to participate in and you know that you shouldn’t because you risk injury. Long story short and much to the chagrin of my coach I registered for the half marathon while visiting the expo on the Friday before the race. My triathlon training had me peaking at 15km the weekend before BMO so in order to avoid injury I was going to need to pace myself carefully. This is why my coach was nervous. We agreed on a target finish time of 1:45. The BMO Vancouver Half Marathon quickly became an exercise in control. I’ve got to admit that I loved running this race. The route through downtown Vancouver, Coal Harbour, Stanley Park, English Bay and finishing in False Creek North is a terrific route for a local area runner or visitor. To control my pace I found the 1:45 pace groups and decided to match their pace. The difference for me from a normal race that I run is that the pace groups were running 10 and 1′s. (Run 10 minutes then walk for 1 minute.) I stuck with the pace group and would drift ahead a little at water stations (I run with a MEC Kinetic Race Hydration Pack) but was steadfast determined to not get more than a few strides ahead of the pace group. If and when I did, I would walk until the pace group had caught up. At the 14km mark the half marathon is in Stanley Park and starts to climb Prospect Point – approximately 1km in distance at a hill grade of 6%. Before the race even began I had decided that I would attack this hill and then settle back into race pace. The majority of the rest of the course is either downhill or flat so I knew there would be time to recover and relax. Over the final 6km I saw a several close friends who were enthusiastically cheering for everyone and anyone. My final chip time was 1:43:11 and most importantly without injury. Out of all the races in which I have participated I would have to say that the volunteers on course at aid stations, water stations, directing traffic, directing runners or cheering people on were well above any set of volunteers of any race in which I have participated. It seemed as though every single volunteer was smiling and excited to be there. Many volunteers are on course hours before the race starts and for several hours after the first runner crosses the finish line. Races such as BMO Vancouver cannot be held without a large group of dedicated volunteers. The race experience with such an enthusiastic and cheerful group of volunteers was unlike any other I’ve ever experienced. In brief – race photos; or really the lack thereof. Race photos are a great souvenir of any event and it is extremely disappointing that no race photos for the BMO Vancouver Half Marathon are available. This is especially perplexing because race photos are available for participants in the full marathon. What is even more frustrating is that inquiries to race organizers about whether or not half marathon photos will become available have gone completely unanswered. I know many people who ran this half marathon as their first half marathon and having professional photo memories of that experience can be priceless. It is very disappointing that for whatever reason the BMO Vancouver event organizers decided to not feature race photos for half marathon participants. As a result I cannot recommend the BMO Vancouver Half Marathon as a race marathon for someone looking to complete their first half marathon. 5km. 13 obstacles. 1 incredibly good time. The Spartan Race is a growing phenomenon of a new one day mixed-sport adventure race that will be held in over 30 cities and 3 countries in 2011. The idea is present athletes from mixed backgrounds and disciplines with their most difficult challenge. The inaugural Vancouver event was held this past weekend and it was great to participate with the Elevate Me team. Obstacles included: fire jumping, frigid creek running, inflating a balloon while running stairs, hoisting a cinder block up 40′, carrying 2 paint buckets full of rocks up and down a 50m hill, crawling through a tarped tunnel, zigzag balance board, scaling a 10′ wall, crawling through mud under barbed wire, scaling a cargo net, javelin, bouldering across a wall, and racing past two gladiators one of whom is carrying a joust. Oh and if you mess up in one of the obstacles you receive a penalty to the tune of 25 burpees! The Spartan Race attracts participants from all walks of life with varied physical abilities. While on the surface it may not seem like it but the event fosters a great deal of teamwork and comraderie amongst participants. Highlight? Going back through the course for action shots. Oh – and the guy who ran in a gorilla suit!! Lowlight? Washing off in frigid creek water but I suppose Spartans never complained about something like so I really shouldn’t either. If you’re interested in a day full of fun and don’t mind getting a little dirty you should definitely check out when the next Spartan Race is near you. As these types of races gain more and more popularity not only will you see more of them but they’ll also become more difficult to get into. Spontaneously in mid-October 2010 I entered the lottery for the 2011 Escape from Alcatraz Triathlon. January 28th, 2011 I received the confirmation e-mail that I was one of the lucky 2000 participants. June 5th, 2011 I stood on the deck of the San Francisco Belle waiting for the guy who had just jumped off the deck to reappear above the surface for my own turn to launch myself into the icy, 9 degree Celsius brackish waters to which great white and mako sharks call home. In it’s 29 year history no prisoner ever recognizably escaped from Alcatraz. Few prisons offer inmates the privilege of hot showers. Alcatraz, however, did. The powers that be didn’t want prisoners to acclimatize to freezing cold water so that prisoners could feel more confident in attempting escape. For the past 31 years triathletes from all walks of life have been jumping at the opportunity to tackle the challenge of swimming from Alcatraz across the bay. The currents in the bay are quite strong and the waters can be rather rough. Siting is incredibly important. Race organizers tell you to look for two 1970′s era apartment buildings as your first landmark. Myself? I’d rather focus on the building next door – the Ghirardelli Chocolate Factory. I mean seriously. You’ve been up since 3:30am, you racked your bike in the pitch black at 4:30am, shuffled groggily onto a shuttle bus around 5:00am, nervously trudged around 6:00am onto the boat that becomes the start line, suffered through the tension of over 2,000 wet-suited triathletes, watched waves crash violently upon the rocks of Alcatraz Island, felt the boat list as the doors opened for the start at 7:30am, witnessed hundreds of swimmers thrashing madly in snow-melt-infused chilled waters knowing it was only 3 more seconds until you joined them. As the water hits your face and the temperature shock makes you hyperventilate do you really want your first thought to be “where are those ugly buildings” or do you want it to be “rich dark chocolate cocooning smooth caramel”? I swam for the chocolate. There are three other easy landmarks as you swim on a bit of a hockey stick curve from swim start to finish. 15 minutes of hard swimming, bumping and clambering over other swimmers, cutting through rising swells and suddenly you feel the current turn. The San Francisco Bay flows like a river so at some point you get a nice 8km per hour push on your back. Even still there’s about 10 minutes that follow where no discernible landmark is visible. Just make sure there are more swimmers on your right than your left. The swimmers on the right are going to overshoot the swim exit and loathe every second of it as they battle back against that 8kph current. 32 minutes after jumping into the Bay I had completed the 2.4km swim and was making my way to the bike transition. The swim is certainly the most nerve racking deterrent for participants and onlookers, however, the rest of the triathlon should not be underestimated. The Escape from Alcatraz triathlon is a little unique in that as you exit the water there is an optional mini-transition to shed your wetsuit and throw on running shoes as your bike is still racked 1000m away. The 29km bike course rolls through the Presidio Hills of San Francisco. Long, steep uphill climbs coupled with nightmarishly fast downhills featuring hairpin and 90 degree turns are signature elements of the bike course. Confident (read death-defying) cyclists hit speeds upwards of 85kph on pieces of machinery that weigh less than a few pounds. One small mistake and much more than the race is over. With approximately 1.5km left in the bike course I heard some friends cheer me on. About 1 second later I felt a bump on my rear tire and looked down to pfffffffftt… My rear tire had blown. Because I could see the transition area I decided to gear down and ride in on the rim while any air remaining in the back tire flowed out rather than changing the tire. Just over 63′ after beginning the bike leg I rolled in on my flat gearing up for the run. Throughout my entire training I was sure that the run was going to be where I could make my move. Starting strong I began passing people on my way out towards the Golden Gate Bridge on the 13km run. Completing the first stair climb I continued to build momentum. Running down the chip trails towards the beach I kept passing people. Each leg of the triathlon delivers its own challenges. The run sends you across loose sand for several hundred metres and then returns you along the tide line to a 400 step sand ladder: railway tie stairs covered in sand. Most participants walk this section. My coach had prepared me to run it. I was losing energy but I was still passing people so I felt confident. Descending that first staircase you have to avoid runners coming up towards you. Technical descents only build my confidence. Feet flat on asphalt with 4km to go I suddenly started to cramp and dramatically slow down. I tried to slow my breathing and flush out the cramps but my body only kept begging me to stop. People I had passed much earlier in the run were now flying past me. I had no desire to eat anything but I finally decided to force some electrolyte chews into my system. Two minutes later I was off to the races. Nutrition and fuel on course are integral parts of an endurance sport event. You need to give your body fuel before it asks for it; whether you feel like it or not. If I had remembered this my energy levels probably wouldn’t have fallen at such a critical part of the race where normally I’d be mentally getting myself ready for my final push. A little bit of fuel made a big difference and as I passed the smiling faces of supporters along the final 1.5km my energy levels built. Crossing the finish line in a clock time of 2’59’24 and an official time of 2’58’01 I had achieved my goal of escaping Alcatraz in under 3 hours. This is a great event and while I had a goal time it is not a race that is done for time or even performance (just don’t tell Andy Potts who won for the 4th time). The Escape from Alcatraz Triathlon is an experience to be taken in. Amazing scenery are the backdrops for the challenges the course lays down in front of you. It is a unique and challenging event that encourages camaraderie amongst participants. Few displayed that better than a friend of mine who did not know how to swim in mid-February of this year and didn’t own a bike until April. To learn more and how you can register for 2012 check out the Escape from Alcatraz Triathlon website. Thirty days from now I will be departing for Racing the Planet Nepal - 250km in six back to back stages and 99% self-supported. I will be participating on behalf of Mencap - a UK based charity to benefit those with learning disabilities. Racing the Planet Nepal is my first ever multi-day event and true to form I didn’t exactly bite off something simple. The approximate distance by stage is: 40km, 40km, 40km, 42km, 75km, 15km. The lowest elevation on course is 700m and we climb as high as 3,200m. Total elevation change is 18,700m or twice the height of Mt. Everest. Suspension bridges are also common on the course with the one spanning 250m and hanging 150m above the valley floor. Training began in early July after taking some time off from the Escape from Alcatraz Triathlon. Certainly this has been the most physically ambitious endeavour I have ever taken on and while it may be my legs that will cover the actual terrain there is a whole team of people who will have been instrumental in the preparations and training for this event. I do not know how other competitors do it but for me without any of these people the ability to mentally and physically prepare for an event like this simply would not be possible. 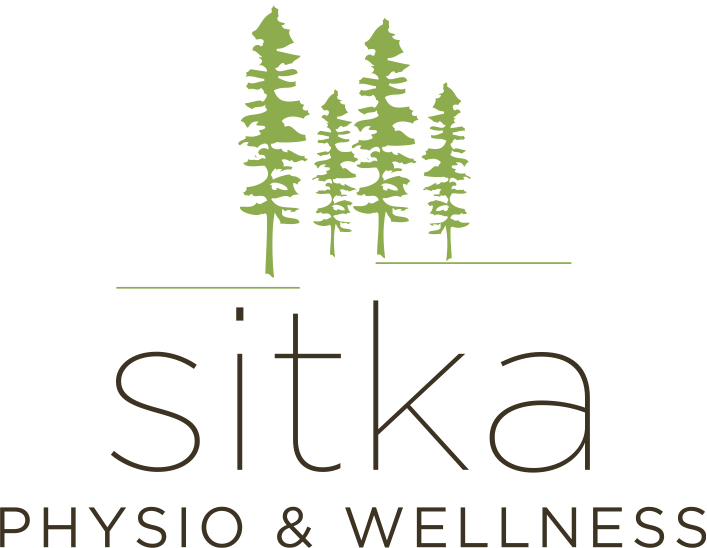 Steve Nairn – Sitka Physio & Wellness - Steve has been my physiotherapist since I had shoulder surgery in 2008. My shoulder was ultimately rehabilitated beyond where doctors had advised me I’d be able to get it, gaining greater rotation and strength. As a endurance sport enthusiast I have encountered some other injuries and body stresses over the past few years. Each time I get reliable and professional treatment at Sitka. Oh – I also love their online booking because between training, work, fundraising and general life it becomes pretty easy to miss making that appointment phone call. Stella Seto – Stellar Health - Stella is a Naturopathic Doctor and has been a god-send in helping prevent and recover from injury. Katherine Moore directed me to Stella for IMS treatment. Intramuscular stimulation is a form of acupuncture that focuses on the release of trigger points. For those that have had IMS, there is a special relationship between patient and practitioner; Stella is someone who I highly trust. In addition to IMS treatment I’ve received homeopathic treatments and invaluable advice on supplements and nutrition. I also love that she practices out of YYoga’s Flow Wellness location so I can follow up treatments with an infrared sauna session on some yin yoga. Teammates – Running Amok ”Yes I understand. You devote hours and hours to competing in races you’ll never win, you want to build up muscles that your office job will never require… I get it, and I’ll help you.” (Peter Sagal) My running group is largely made up of current and past Team in Training participants. There are few things a running partner doesn’t know about you and there is no measure for the capacity to support or the ability to absorb your mid-run irrational rants because over 30km just about everyone gets in a pretty foul mood. And everything gets forgiven by post-run breakfast. Other runners provide a sense of understanding and motivation that is unparalleled. Friends & Family Training for an endurance event means a lot of sacrifice: diet, nights out, missed social events because time on the track or foot steps on the pavement needed to be squeezed in. Extra physio sessions, yoga classes, afternoon naps, frustrated moods tied to injury or a bad training session. The demand for understanding that an endurance athlete puts on their friends and family is completely ridiculous. Seriously. Few people really appreciate that you’ve got to leave the social event of the year at 9:00pm on a Saturday night because you need to be in bed in half an hour so you can get up and run at 7:00am. Oh – and instead of that glass of wine or beer you brought your own organic coconut water or the other latest and greatest health drink. Fundraising Supporters Sports philanthropy is probably one of the single greatest growing trends that I am seeing today: Mencap, Team in Training, Ride to Conquer Cancer, Team Diabetes, Climb for Change – the list goes on. I continue to be amazed by the support and donations that people provide with or without connection to the athlete’s cause. When you “hit that wall” during training or on race day there is no single greater motivator than thinking of the cause and the people you are participating for and the number of motivational messages that supporters have sent your way to keep on foot in front of the other. Since 2007 I have used Minor Meyers Jr’s quote as the tagline for fundraising campaigns and it still rings loudly today.